Document the process of achieving measurable improvement and results. Find out more about a measurable process leading to sales excellence. WHAT DOES SALES TRAINING MEAN TO YOU? 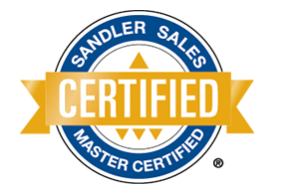 What is Sandler's Sales Certification system? 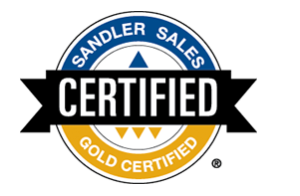 Why did Sandler create a Sales Certification system? What are the benefits of Sales Certification? Who are best-fit candidates for Sales Certification? What are the expected results of Sales Certification? The Sandler Certification program provides unlimited opportunities for Sandler sales professionals to enhance their sales skills as they advance through the four levels of certification. Upon completion, participants are awarded appropriate certification for each level. The Bronze level focuses on knowledge. This level is designed to give participants the foundational understanding of the Sandler methodology so they can start applying the principles in their selling environment. Participants are required to successfully complete classroom training as well as a series of Sandler Online courses and examinations. The focus of the Silver level is application of knowledge. 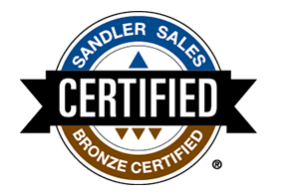 This level is designed to ensure that participants who have earned Bronze Certification are able to apply Sandler strategies and techniques to their selling roles. Participants are required to demonstrate continued classroom competency in the Sandler methodology, continued study through Sandler Online courses, and successfully complete exercises and role-play demonstrations. The Gold level of certification focuses on skills and is designed to ensure that participants who have earned Silver Certification are able to transfer their learning and skills to effective behaviors in the field. Participants are required to demonstrate continued classroom competency in more advanced concepts, continued study through Sandler Online courses, and successful completion of exercises and role-play demonstrations. The Master level of certification ensures that participants who have earned Gold Certification reach and sustain behaviors needed for top-tier performance. Participants are required to demonstrate completion of specialty designations and documentation of field performance results.